The 4 castor Overbed table is very simple to manouevre and can also be used as a basic trolley. The top is height and tilt adjustable. Free UK delivery. 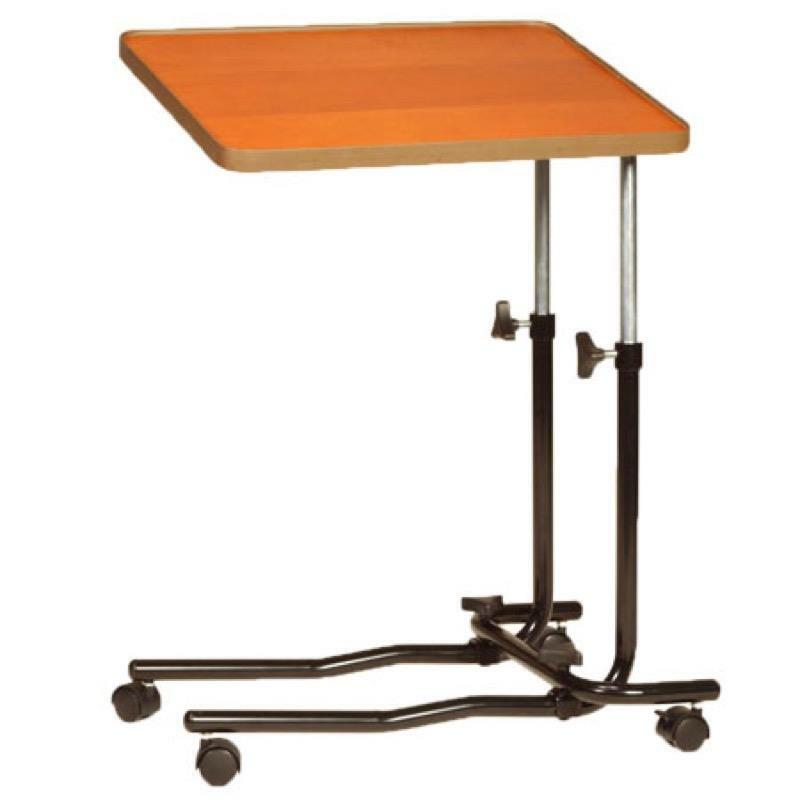 This Overbed Table is ideal for use in the bedroom or the lounge or for wheelchair users. This 4 castor model is extremely easy to manoeuvre as a simple trolley too. The legs slide easily under beds on legs or raised divans. The over bed table is height and angle adjustable. It is simple to assemble and have a melamine coated top and all round lipped edging which is ideal for preventing your magazine, jigsaw etc from slipping off the edge.